Towards the end of 2009, I completed my first novel, whose theme is contemporary Muslim identity in Egypt and, by fantastical extension, the vision of a possible khilafa or caliphate. I was searching for both an alternative to nationhood and a positive perspective on religious identity as a form of civilisation compatible with the post-Enlightenment world. The closest historical equivalent I could come up with, aside from Muhammad Ali Pasha’s abortive attempt at Ottoman-style Arab empire (which never claimed to be a caliphate as such), was the original model, starting from the reign of Sultan-Caliph Mahmoud II in 1808. I was searching for Islam as a post-, not pre-nationalist political identity, and the caliphate as an alternative to the postcolonial republic, with Mahmoud and his sons’ heterodox approach to the Sublime State and their pan-Ottoman modernising efforts forming the basis of that conception. Such modernism seemed utterly unlike the racist, missionary madness of European empire. It was, alas, too little too late. The point being that, somewhat implausibly, I placed the Wahhabis, against whom the Pasha had fought on behalf of the Sublime Porte, in the same camp as Mustafa Kemal, whose military nationalism my protagonist saw as the other side of the Islamists’ totalitarian coin. Kemal—and Egypt’s own Gamal Abdel Nasser with him—were more like jihadis, Al Qaeda, Salafis and, yes, Muslim Brothers than the sultans. The aggressively secular orientation of Kemalism had after all broken with even the highest peaks of Muslim heritage; and it was such severance and complete identification with Europe that eventually gave rise to Islamism. In Egypt, the Muslim Brotherhood emerged in response to Kemal abolishing the caliphate altogether in 1924 (following which several attempts to reinstate it across the Muslim world all failed). To my protagonist, both Kemal’s and the Islamists’ collective self-definitions were forms of glorified provincialism. As for the kind of sophistication that follows the sacking of established urban nuclei like Constantinople or Cairo by an ambitious autarch, on the other hand—surely that’s an altogether different brand of politicking, my protagonist thought, one that can give rise to World Civilisation with a capital C, however much violence or injustice it too must needs involve. Even now this seems a justified enough line of thinking considering how inward-looking and small-minded is the fellahin-oriented legacy of both Nasser and his successor, Anwar Sadat. Neither father of the nation truly introduced the judicial and institutional rigour modern Egypt had always lacked; neither adequately replaced the far less pretentious patriarchy founded by Muhammed Ali, or lived up to the standards he set for economic development. More importantly, despite Nasser’s persecution of the Muslim Brothers and despite Sadat subsequently deploying them and other Islamists against socialists and nationalists including Nasserists, neither went beyond the Pasha’s blanket championing of Ottoman (Hanafi) Islam as state creed. This failure to rethink religion, while promptly and repeatedly aborting any attempt at a renaissance within Islamic self-awareness, permitted neither freedom of belief nor a sufficiently literal “application of Sharia” to satisfy fundamentalists (who had initially been seen as heretics rather than extremists but whose apparent moral superiority to the powers that be looked more and more convincing as time passed). In the absence of sufficient material development and under the weight of various hangups about who “we” really are (both of which prevented the intelligentsia from pursuing an intellectual project capable of engaging enough of the masses or investing society with any sense of purpose), neither Nasser’s quasi-socialist pretensions nor Sadat’s efforts to (re)invent “the morals of the village” gave Egypt a holistic culture or value system with which to live as a (larger and larger) group of humans; hence corruption, incompetence, tyranny—and the hypocrisy that was carried to astonishing extremes under Mubarak. Once the economic and cultural failure of Egypt’s president-for-life dictatorial system became as painfully obvious as it was by the end of the century, I reasoned, the caliphate would solicit a deep and widespread nostalgia—which explained the popularity of Islamism. Unlike Ottomania, after all, the disastrous system in question had depended on neither bloodline nor aptitude but rather on mafia-like networks of interest couched in unseeing patriotism, populist chauvinism, sloganeering, some vaguely relevant cause soon totally emptied of content. And where was the disinherited Egyptian to look for a collective sense of fulfillment beyond “the homeland” as such? Of course, like other topics in my novel, the caliphate was fictional and utopian. As an idea, it was meant to glitter; and it drew on the brighter vistas of historical Istanbul to that end; it was seen as the multifarious and sublime ore that lay beneath the ugly sediment of Mubarak’s Egypt, of which ugly sediment (I had no qualms about stating) fundamentalism was the obvious aspect. So the kind of Islam I envisaged—as different in real life from Ottomania as it was from Islamism—had more to do with secularism and diversity than any essentialist formulation of identity. It presupposed a sort of protestant, empiricist revolution that had never actually happened in Islam. Reason, efficiency and freedom of thought on the one hand; and, on the other, mysticism, cultural multiplicity, geographic mobility, a relativist as opposed to a postcolonial reading of history. None of it was really true of the Ottomans at all but—and that might have been my point—all of it just might have been. 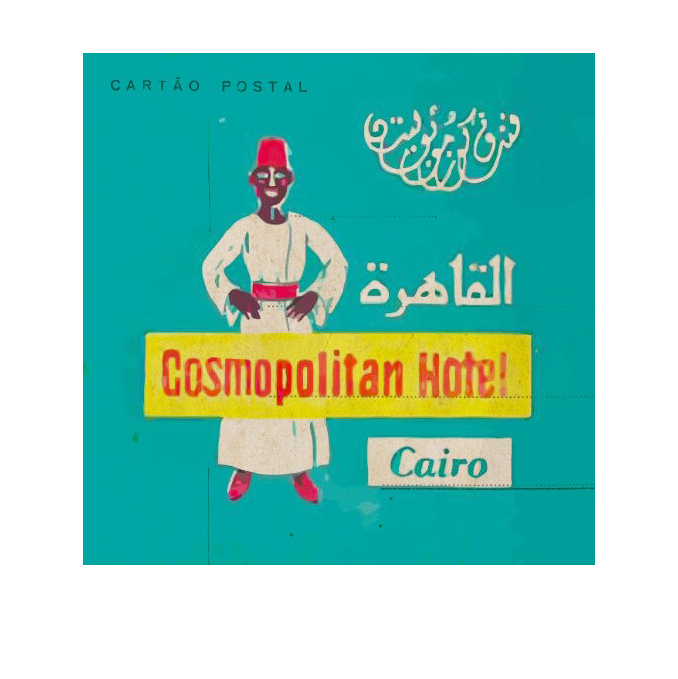 I realise now that my portrait of contemporary Cairo was as much an attack on philistinism and incompetence as an homage to the Mediterranean, that magnificent culture of seafaring and what its marriage to Muslim travel might look like carried to a truly post-Enlightenment conclusion. As much as anything, I wanted to make the point that a Muslim leader like Mehmed the Conqueror could be as “European” in his ambitions and his openness to what humanity had to offer regardless of race, creed or language as Alexander the Great (which is how Mehmed liked to style himself, incidentally). I wanted to say that Islam is not the reactionary, other-hating and intellectually reductive belief system riddled with criminality and unreason that contemporary Cairo makes it look like; and, at the same time, that Istanbul is a worthier centre of the world than New York. It seemed to me that Arab nationalism, neither the Muslim creed nor Islamic history, was responsible for Islam becoming so ugly, and that my kind of postmodern khilafa could be the (fictional) answer to that problem. While I wrote the book I had no idea that something major was to happen in Cairo before it was even published—still less that this thing would lead, in time, to major triumphs for political Islam: not only the fundamentalist orientation I had identified with the military-driven secularism of Mustafa Kemal but, ironically, also its ambitions to caliphate. Ignoring the gravity of “the Islamist threat”, I had been eagerly involved in the protests. Now, within a week of Hosny Mubarak stepping down on 11 February, 2011, my novel was finally published; I remember being too embarrassed to promote it online without mentioning “the martyrs of the revolution” and how insignificant literature was compared to their sacrifices. A new age of reason, efficiency, freedom, of mysticism, multiplicity and mobility—a new fictional caliphate that would be called the second, hangup-free republic of Egypt—was about to dawn; and the most my book could be worth was to have prophesied it. Military edging into fundamentalist fascism sans the “European” benefits of secularisation (surely it is those, not the largely cosmetic quasi-Islamic “renaissance” of a Gulf-oiled schemer like Erdoğan, that account for the superiority of “the Turkish model” so often touted as the path for Egypt). No point discussing this here. Sufficient to point out that, aside from everything else, it is the drive to khilafa—however secret or ulterior, however consciously or unconsciously unrealistic—that fuels Islamism in its many different forms now in Egypt. It is a vision of khilafa, naturally very different from mine, that has brought the discourse and activity of the fundies (as I still like to call them) back on political track, after they were confined to the social and moral realms for the last two decades under Mubarak. During that time they seized the opportunity to prepare large sectors of the constituency for an Islamist takeover of power whenever it might occur—religion being the opium of the fellahin, etc.—but perhaps not for their own contradictions and hypocrisies? Observing pro-Islamist Egyptians today suggests to me that hypocrisies and contradictions are fine so long as they issue from the right, Islamically stamped party. And so perhaps that is one thing the Islamists did not need to prepare anyone for. The irony of my book appearing in the ultimately short lull between the triumph of a seemingly secular revolution and the transfer of power from Muhammad Ali-style “moderate” to fundamentalist Islam was never lost on me. What was lost was the suspicion that Kemal or someone like him—”fascism” included—may not have been such a bad idea for the Arab world. Having missed the Enlightenment, perhaps a people or a culture can only be brought to post-Enlightenment norms by force? First—the fundamentalist priority—the caliphate must liberate Jerusalem. In other words, it must be an adequate substitute for all kinds of Arab nationalism, performing the requisite postcolonial functions at which the Baath—for example—failed, from renaissance to resistance. Consider, in this context, the reality of the situation, with Qatar, Turkey and (to a lesser extent) Saudi Arabia at the helm of a ship travelling east from Tunisia to Syria—precisely because they are economically in a position to be. And is such economic strength bound up with Turkey doing the most business with Israel in the history of the region, more business with Israel—in fact—than any Muslim country in the world? Is it bound up with Qatar being to all intents and purposes an American military base whose principal function is, by checking such “rogue states” as Iran, to actively guard Israel? How could a khalifa from Qatar based in the former seat of the Ottomans ever liberate Jerusalem? Secondly—my priority—the caliphate must transcend sect. To surpass the Ottomans or even to transport their multicultural Civilisation into a present-day context, the caliphate must find a definition for (Sunni) Islam beyond both literalist theology and the concomitant anachronistic practises that seem to have no function except affirming the subject’s loyalty to what will readily reduce to a sect, not a World Civilisation. Iran is a problem in the region because it is a theological dictatorship and “a threat to world peace”, but it is a problem for the apparently US-backed caliphate because it adheres to Shia Islam. Consider, then, how the general assumption is that the postcolonial powers are inimical towards Islam, Arabs and the region. As a rhetoric voided of the capacity for action, nationalism suited the postcolonial powers well enough; yet the kind of sectarian strife to which the caliphate has reduced the current conflict in Syria, for example, suits those powers even better. What could be a more effective plan for guaranteeing another 100 years of Muslim backwardness than to have Muslims go to war with each other and the non-Muslim minorities in their midst (which is precisely what most Muslim Brotherhood discourses openly espouse)? Meanwhile, Prince Hamad Al Thani can happily inaugurate new annexes to the Doha Islamic Arts Museum even as the Kurds continue to be massacred in Turkey and intelligent young Saudis have their heads chopped off for suggesting that men should be able to mix with women in public. My pre-Arab Spring vision of caliphate may have been fictional and unduly utopian, it may have been fundamentally paradoxical in that—even in the best possible circumstances—the society I pictured as an improvement on Mubarak’s republic is incompatible with the concept. But the real-life caliphate that both fuels and justifies post-Arab Spring political Islam is a terrible parody of itself—and a painful anticlimax to the excitement and hope that coincided with my novel. I realise now that it would take far more cynicism than I could ever imagine possible to cry out “Hail, Prince of Believers”—whoever it is I was crying it out to.